Submit the following forms to Mariah Simmons at msimmons@wildlife.org. Within 20 days of your annual elections and any other change in officers, submit the Section Officer Report (PDF or Word Doc) or Chapter Officer Report (PDF or Word Doc), as applicable, to ensure that your officers continue to receive important news and updates from TWS headquarters. By January 31, the treasurer must complete and submit the section or chapter Tax Report Form. By January 31, complete and submit your Annual Report. By April 30, submit your Dues Renewal Form to request dues changes, which will go into effect July 1, 2019. TWS cannot guarantee that members will submit the most up-to-date renewal form along with dues payments. Therefore, if the incorrect amount of dues is paid via mail to TWS Headquarters, the Section, Chapter, or Working Group must determine whether or not they wish to contact the individual and obtain the correct amount of money. This form only needs to be submitted if dues are being changed. IRS e-postcard (Form 990N) for subunits whose yearly gross revenue is less than $50,000 and for those subunits that didn’t pay for lobbying – must be submitted to IRS by May 15 each year; TWS Staff will submit this form on your behalf and send you confirmation. Form 990-EZ for subunits whose yearly gross revenue is more than $50,000 and/or for those subunits that paid for lobbying – must be submitted to IRS by May 15 each year; forward confirmation to Mariah Simmons at msimmons@wildlife.org, by May 15. Please fill out the direct deposit authorization form and return it to Mariah Simmons via email at MSimmons@wildlife.org, via fax at 301-530-2471, or via mail at the address provided on the form. The completion of this form will allow the TWS Chapter or Section quarterly dues to be directly deposited into a bank account rather than be mailed a check. This service is only available to Sections and Chapters with U.S.-based banks. Officers can access their Section or Chapter membership roster in Your Membership. You must be a current TWS member to be able to access the roster. The roster includes only those members who have paid your Section or Chapter dues through the TWS website or by mail to the headquarters in Bethesda, MD. An explanation of how to download the rosters is available here. Chapters are invited to nominate themselves for the award by completing the Chapter of the Year Application Form. Email all materials as a single PDF file to Awards@wildlife.org by May 1, 2019 at 11:59 PM EST. The nomination and all supporting documentation must NOT exceed 20 pages. PDFs of over 20 pages will NOT be accepted. Varying levels of risk are involved whenever a group makes educational opportunities and events available to members, guests and other individuals. In these situations, sections and chapters should consider asking participants to complete the TWS Waiver and Release of Liability form. The Wildlife Society’s membership has a desire for the Society to take a more active role in addressing wildlife policy issues and legislation that directly affect wildlife and/or its habitat. Therefore, TWS Council feels there is a need to coordinate our efforts to ensure TWS is effective in meeting its objectives. The following material is intended to inform you, as TWS members, about how chapters, sections, and working groups can most effectively be involved. As the scientific society for professional wildlife managers and conservationists, TWS has a responsibility to address national and international issues that affect the current and future status of wildlife in North America and throughout the world. The diligent development of authoritative, science-based statements on wildlife issues is essential for interjecting wildlife concerns into decision-making processes. 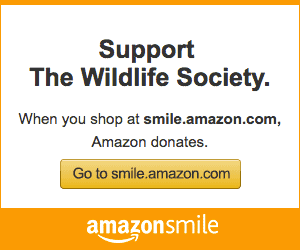 The Wildlife Society fills this role through development of position statements. Sections, chapters, and working groups may also desire to formulate position statements pertaining to subjects in their locale or subject area. They are authorized to do so when the statement addresses a topic upon which TWS does not have a position statement or when the statement would be consistent with existing TWS position statements. A position statement is a carefully prepared and concise exposition on a wildlife issue that defines the issue, contains factual background data, describes the most probable biological, social, and economic results of alternative actions, and may also contain a recommended course(s) of action. For more information for how these are developed by the parent society, please read A Guide to TWS Position Statements. What is the policy for organization units regarding position statements? TWS Council must approve all position statements developed by working groups prior to their final adoption by the working group. Any statements by sections and chapters that conflict with those already adopted by TWS must be submitted to TWS Council for review and possible approval. Sections, chapters, and working groups are encouraged to communicate with the Director of Government Affairs when developing position statements. Copies of all statements adopted by sections, chapters, and working groups must be forwarded to TWS Headquarters upon approval. Sections and chapters that wish to publish materials (such as proceedings from conferences) that display the TWS logo must follow the peer-review process as described below for Working Groups. This requirement will help ensure that any publication bearing the official TWS logo is consistent with the Society’s guiding principles of science-based wildlife conservation. TWS working groups often publish proceedings from the symposia or workshops they sponsor at TWS’ Annual Conference and elsewhere. Yet working groups have several different publishing options, such as publishing proceedings in special sections of The Journal of Wildlife Management or the Wildlife Society Bulletin, working with commercial or academic book publishers, or publishing electronically via the internet. Typically workshops or symposia are organized and chaired by a group of individuals. These individuals select the presenters and provide guidance on content of presentations. Sometimes workshops and symposia are conducted with the aim of publishing proceedings, but sometimes the idea of publishing proceedings comes only after oral presentations. Regardless of whether a proceedings is part of the initial planning or an afterthought, the published material should undergo more-rigorous scrutiny than the oral presentations. Material published under the TWS logo, including material only available electronically, deserves and requires peer review in keeping with the principles of science-based wildlife management and TWS’ Code of Ethics. The peer review process provides self-regulation of our profession through evaluation by qualified individuals. Peer review methods help maintain TWS standards, and provide credibility to TWS products and sponsored events. For proceedings published in the Society’s scientific journals, strict standards of peer review are well-established, and the journals’ editors-in-chief are required to follow those standards. If a working group decides to publish a proceedings with a TWS journal, the editor-in-chief should be brought into the process at an early stage. Editor(s) of the proceedings to be published will be selected and approved by the governing board of the working group. These editors may be the symposium or workshop organizer(s), although the governing board may decide that other individuals are better qualified to prepare and edit the content of the proceedings. In general, editor(s) should be members of the working group, and thus TWS members, although exceptions may be made by the working group governing board. At least two wildlife professionals (preferably members of TWS) will peer review each of the papers that are published. Anonymous peer review is preferred, although compliance will sometimes be difficult to achieve for specialized topics. The editor(s) of the proceedings will select the reviewers. The editor(s) of the proceedings will evaluate the resulting reviews, and determine whether the material should be published in the proceedings. Authors may be asked for revisions of materials based on reviewers’ comments. Just because an author presents material during an oral session does not mean that the material will automatically be included in the proceedings. Likewise, an editor may decide to include material that was not presented orally at the symposium, either because the presenter was unable to attend, or because an important topic needs to be included for completeness of the proceedings. Editors are expected to operate in a fair and ethical manner with authors. Editor(s) will allow authors the opportunity for review and response. If a researcher’s work is specifically criticized by papers to be published in the proceedings, editors should alert the researcher and give that person an opportunity to respond in the same proceedings. If someone attending the symposium takes issue with a presentation and would like to prepare a comment to be published, they should contact the editor, who should also give the author the opportunity for a rebuttal if the editor feels it is warranted. . Editors must be cognizant of conflicts of interest, including their own. Editors of proceedings should not have a vested interest in one particular side of an issue. Editors should set limits on the number and amount of paper amendments. If late revisions are allowed, then all authors of published proceedings should be given equal opportunity to make revisions, particularly with point-counterpoint material. Editors should show authors all changes that have been made to their individual articles, and give authors an opportunity to comment on those changes, prior to publication of their work. Upon completion of the selection and editing of papers for the proceedings, the editor(s) of the proceedings will provide the materials to the governing board of the working group for final approval. Published proceedings should carry the disclaimer that papers do not necessarily reflect the views of The Wildlife Society, even though their content may have been presented in whole or in part at a TWS Annual Conference or other TWS-sponsored event. However, such disclaimers should not be viewed as an excuse to publish libelous or shoddy work, and editors and working group governing boards should be held accountable for such work. All authors and editors of published papers in the proceedings must adhere to the TWS Code of Ethics, regardless of whether they are a member of TWS or not. The Wildlife Society staff and Council actively encourage the formation and success of sections and chapters and provide ongoing assistance to them. Administrative support is provided primarily by the TWS Unit Services Manager. Staff support may consist of, but is not limited to, promoting membership; collecting annual dues; maintaining membership lists; providing space for student chapter news in TWS’ publications and on TWS’ website; fostering meetings, seminars, and other forums for sections and chapters; providing technical assistance with e-newsletters, other publications, and electronic communications; and other actions as Council or the Executive Director deem appropriate. The Wildlife Society is available to run online elections for organization units that have online elections already part of their bylaws. Contact Aniket Gajare, agajare@wildlife.org, with the following information: name of organization unit, date to open elections, date to close the elections, name of positions and candidates for the election, and any other restrictions you might have. Two to four weeks in advance of the date you plan to open elections, if all of your organization unit members are also members of The Wildlife Society. Four to six weeks in advance of the date you plan to open elections, if all of your organization unit members are NOT also members of The Wildlife Society. Shorter notices can be accommodated on a case-to-case basis. Thinking of printing stationary for your chapter, section, or working group? Are you designing a new logo for your organization unit? Download the various TWS logo files below. Any designs using The Wildlife Society’s logo, including t-shirts, must be approved in advance by TWS to ensure that the designs are in conformance with the TWS mission and objectives. A PDF and request for approval can be sent to Mariah Simmons at msimmons@wildlife.org. Click here for the TWS logo in color. Click here for the TWS logo in high resolution. Click here for the TWS logo in black & white.